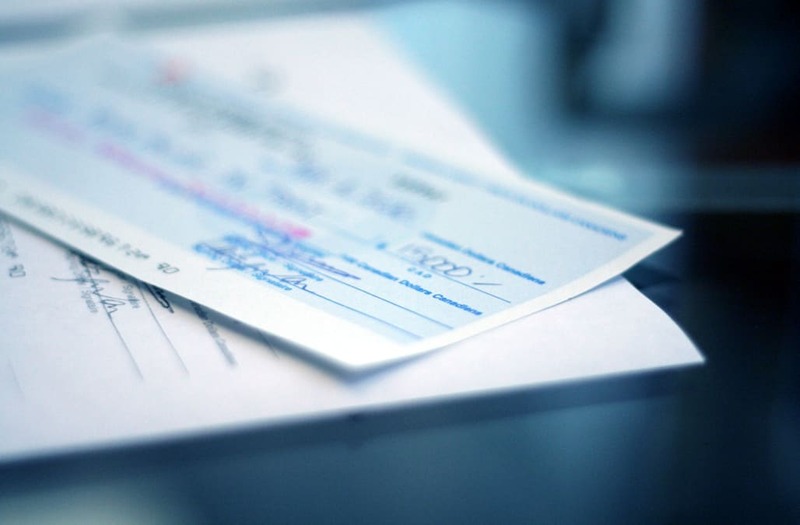 Employers nationwide gave raises to avoid paying overtime. Now they're taking them back. Garrett Hutcheson, a supervisor at a catering supply company in the southwest, was told he was getting an enormous raise: a $7,000 bump to his salary of around $40,000. The extra cash meant he could move his young family out of his girlfriend's parents' house. Instead, he'll be staying there, working long night shifts without overtime pay. "This would've gotten us on our feet," Hutcheson said. "I've still got hope, but I'm not optimistic." The pay increases, the result of a regulatory rule change by the Obama administration, were set to help more than 4 million workers like Hutcheson. Just the expectation of the new rule triggered raises for workers across the country, including managers at Walmart, Nationwide Health Insurance and at least half a dozen universities. Now, as a result of the ongoing tussle between the administration and federal courts regarding overtime pay that began in 2014, an injunction against the rule means a victory for big business interests — and rescinding of raises for Hutcheson and an unclear number of fellow workers. The raises came after President Barack Obama, in 2014, boosted the minimum level of income workers can earn without being entitled to overtime pay. The Department of Labor rule change meant anyone making $47,476 or less could get overtime pay after they worked 40 hours in a week. The increases had lagged behind inflation and were therefore "overdue," Economic Policy Institute Vice President Ross Eisenbrey said. An estimated 4.2 million American workers were set to benefit from the rule change, to the tune of $470 million. Some businesses, however, sought to sidestep the change by bumping their employees up past the $47,476 mark — a slick way out of paying overtime, but a boon to workers nonetheless. "This would've gotten us on our feet." Then, about a week before the rules would have gone into effect on Dec. 1, a federal judge in Texas issued an injunction, blocking the change nationwide because he decided the Obama administration was overreaching its authority. The Department of Labor is fighting Judge Amos L. Mazzant III's injunction, and the Justice Department filed an appeal on their behalf. Employers across the country, though, reacted by taking back the raises. The setback affected employees of all kinds of businesses — ad agencies, hotels, restaurants, insurance companies, transportation and public education. At University of Nebraska, for example, Vice President for University Affairs Melissa Lee told Mic that 1,160 employees are in limbo as all proposed salary changes are on indefinite hold. President Obama first signed the bill to modernize overtime wage regulations in 2014. One employee of Vail Resorts, who asked to remain anonymous for fear of retaliation, was going to spend a $5,000 seasonal raise on health insurance and paying off credit card debt. Then, at 2 p.m. on Thanksgiving Day, the employee got notice the $6.59 billion winter sports corporation was taking back the raise. "It's all perfectly legal, but it was perceived as such a callous thing to do," the employee said. "Everything was going to be OK. Now it's just going to be average, which in America is sub-average." The employee nodded to Vail's luxurious brands and high profits. "For a few people to have a 5-star vacation, you need tons of people to lead a 2-star life," the employee said. These days, it seems every company is collecting data — on everything. It’s called big data, and the challenge is not gathering it so much as making sense of it all. That’s what data scientists do. And when you can do it well, you get paid well. Petroleum engineers are often ranked as the best jobs in terms of salary, especially for master's graduates. These are the folks who design and develop ways to extract oil and gas from the Earth. They also get to work with other cool professionals, such as geoscientists, to find the best methods for particular locations. Let’s face it, a lot of us are not born with a perfect smile. That’s when the orthodontist steps in. And parents, you know how much that can cost — anywhere from $3,000 to $10,000, according to Oral-B. Dentists do pretty well for themselves. Getting into dental school can be very competitive. And while you might think of these professionals as torture artists, they do make the world a lot brighter. Pearly white bright, to be exact. Regardless of the industry, corporations need someone running the show, planning, strategizing. It’s all in a day’s work for top executives. But if you want to get this job, get ready for some hard work. More than half worked more than 40 hours a week in 2014, according to the BLS. Yes, caring for others pays off in more ways than one. Of course, by the time you get to hang those degrees on your wall, you’ll have earned them. According to the BLS, most physicians complete a four-year bachelor’s degree, four years of medical school, and three to seven years in an internship and residency. Do you put a positive spin on everything from your bad hair day to that clunker you call a “vintage automobile”? You could be perfect for pulling down some serious green as a public relations exec. These people work to enhance their clients’ images through ad campaigns, working with the press and more. And since image is everything in our Instagram world, they get paid nicely. If you’ve got your sights on becoming a U.S. general, prepare to get as many bucks as salutes. Just know there’s a good chance bad guys with guns will be involved. Like talking about other people’s problems? That trait could help a lot with this profession. After a heck of a lot of schooling, psychiatrists treat patients using a variety of methods, like psychotherapy, psychoanalysis, hospitalization and medication. In return, patients treat psychiatrists with a lot of money. Okay, so in addition to a lot of green flowing your way, you’ll also have to be okay with a lot of red — as in blood red. But get past that, and you can operate and save some lives. Vail confirmed to Mic it had adjusted its plans for raises. "When a federal court judge issued a nationwide injunction preventing those regulations from going into place," Kelly Ladyga, a spokesperson for Vail, said, "we told our employees that we are reviewing the court's ruling and the outlook for any updated [Fair Labor Standards Act] regulations and assessing appropriate next steps, which will include moving forward with certain compensation adjustments." "For a few people to have a 5-star vacation, you need tons of people to lead a 2-star life." Mic, however, obtained internal Vail documents where the company informed employees the raises would not be going through. Asked about the documents, the Vail spokesperson referred back to the initial statement and declined to further clarify the discrepancy. The new regulations Vail is holding out for may not be in place before Obama hands over the White House to Donald Trump. Trump's pick to run the Department of Labor, which sets overtime regulations, is workers' rights nemesis and fast-food CEO Andrew Puzder. Undoing President Obama's plan for overtime, however, would be tough work, no matter who takes over the Department of Labor, according to the Economic Policy Institute's Ross Eisenbrey. Eisenbrey, who thinks the Texas judge's injunction will be overturned on appeal, says Trump will have bureaucratic obstacles to overcome if he wants to reverse the new rules. "President Donald Trump couldn't unilaterally yank the rule — he'd have to go through a long, involved process," Eisenbrey told Mic. "It took a little more than two years for the Obama administration to do this, and it'll take a good long time for the Trump administration to undo it successfully." Eisenbrey thinks Trump could face political obstacles if he does invest his administration's energy in reversing rules which would affect 4 million workers. "It's a test for what he really stands for," Eisenbrey said. "He claims to care about the American worker. To take this away from millions of people would show something very different." Did you or someone you know get a raise then have it rescinded? Get in touch with Jack at jack@mic.com and tell him your story! Now you know why some taxi drivers are probably in bad moods and drive like they just failed road rage school — they really don’t make that much. Not enough to sit in traffic and deal with backseat drivers all day anyway. The good news is they typically have flexible hours and can get tips. You're most likely not going to get rich selling clothes or car parts. But, of course, the wage number doesn’t tell the entire story. Many salespeople earn commission on top of their hourly pay. If you have a knack for sales, consider a side job at a direct sales company. Not only do these positions provide extra income, but they can be great jobs for stay-at-home parents as well. Home health aides might be among the lowest-paying jobs of 2016, but they have job security. According to the Bureau of Labor Statistics, because of the aging baby boomer generation, this job will be in demand. And an aging population will need help with daily activities and keeping health problems in control. These people work in places like zoos, veterinary clinics, aquariums, pet stores and more, according to the Bureau of Labor Statistics. Although you might not make a lot, at least you don't have to go through too much schooling. Many animal care and service workers just need to have a high school diploma, according to the BLS. And you'll earn bonus points if you have experience working with animals. The people who clean bathrooms and leave those delicious mints on your pillow barely make more than $20,000 a year. But according to the BLS, some of the top-paying states for maids and housekeepers include New York, Hawaii and Nevada. It might seem a little odd that we pay the people who watch our children so little. Child care workers do everything from watching over and reading to toddlers to helping school-aged kids with their homework. They say that bartenders are some of the best counselors. Unfortunately, they get nowhere near the pay. Instead, they get to deal with drunks, clean up spilled beer and break up the occasional fight. Thank goodness these hard workers get tips. Thankfully, most servers earn a combination of wages and tips. With a median pay that's less than $20,000 year, waiters and waitresses work hard — and often long hours — ensuring you have a great experience at a restaurant. So the next time you get the bill, remember to tip your server appropriately. As the second lowest-paying job of 2016, cashiers arguably don’t get the money they deserve. If you’ve ever been in a line at the grocery store or department store when a fast and friendly cashier means the difference between beating rush hour or two hours of public radio, you’ll agree. With an annual pay that's less than some college tuition, dishwasher is the lowest-paying job of 2016.